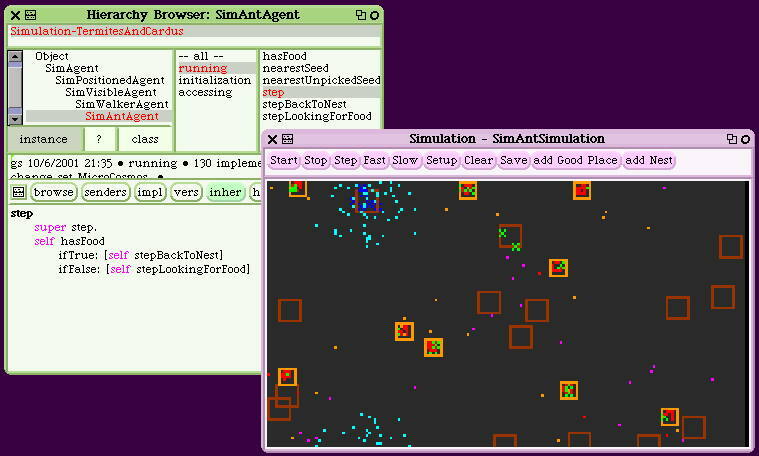 Microcosms is a multi-agent simulation framework developed in Squeak (Smalltalk) that allows the creation of virtual systems. 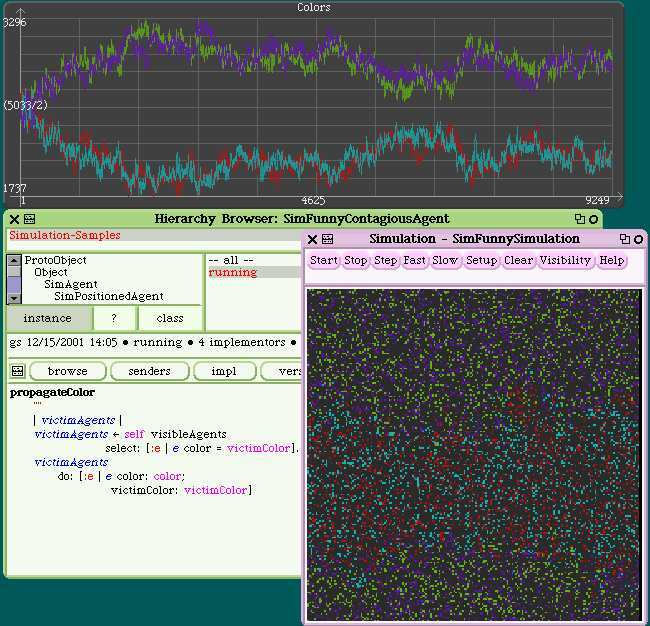 The framework is used to study emergent phenomena in complex systems. This project began as a final exercises of a course (Programing Simulation models in Smalltalk) held at the University of Buenos Aires. Then the framework was used (and is still used) to explore some ideas about ecological system dynamics.